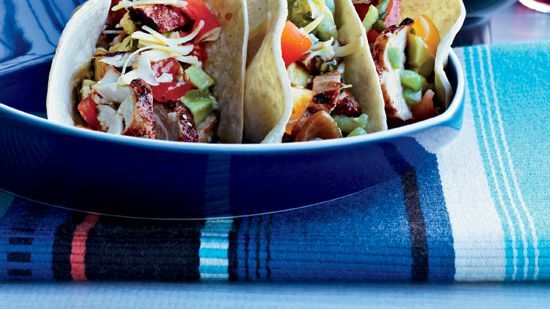 These delicious combinations include grilled-chicken tacos and a rich 2009 Pinot Noir. 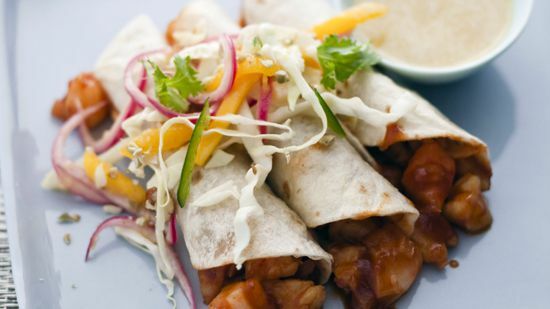 After chef Dean Fearing made these spicy shrimp tacos with pickled onions for the BubbleQ, he served them at his Dallas restaurant, Fearing's. 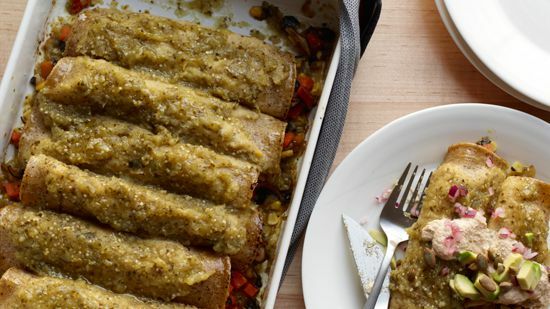 They are now the signature dish. 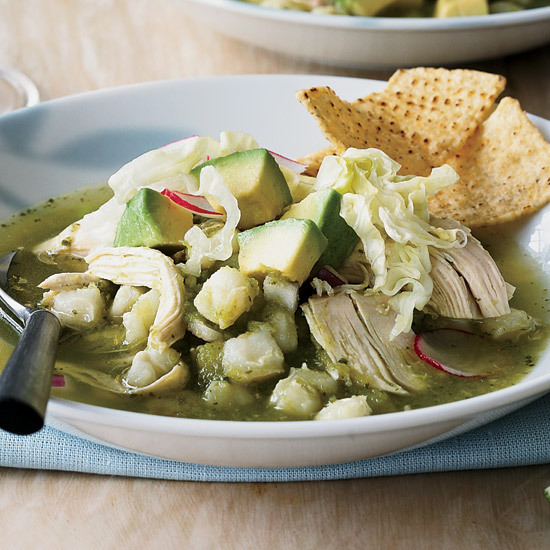 "To me, anything wrapped in a flour tortilla is absolutely delicious," he says. 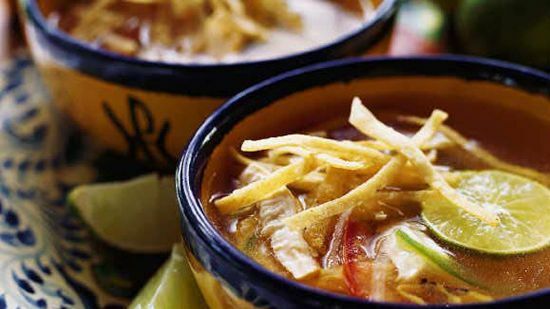 The fragrant limes that are abundant on the Yucatán peninsula make this soothing soup especially appealing. 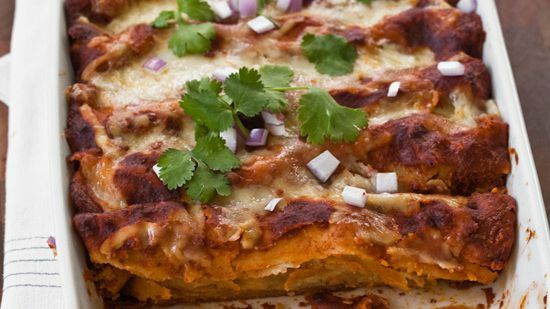 Grace Parisi makes a slightly spicy red sauce for these enchiladas with smoky guajillo chiles and fruity ancho chiles. 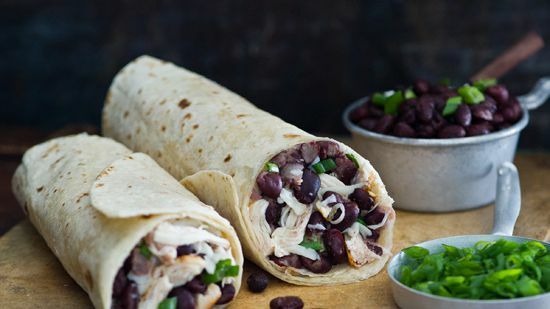 Pepper Jack cheese looks innocent enough but adds a nice kick to these burritos. If you prefer a milder taste, use regular Jack instead. 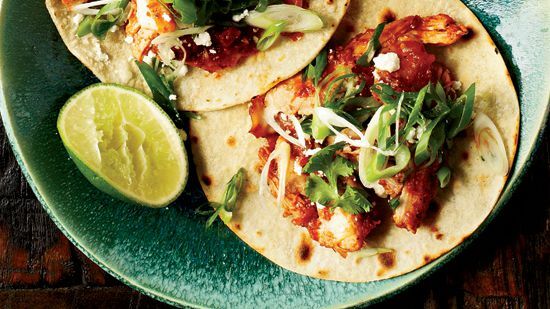 This grilled-chicken taco recipe from New York City's Dos Toros chicken thighs calls for chicken thighs in tomatoes and lime. The result: super juicy meat that cooks quickly. 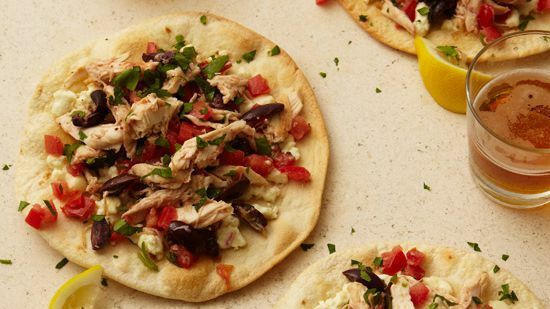 A Mexican classic with a Greek twist, these tostadas appeal to children of all ages. 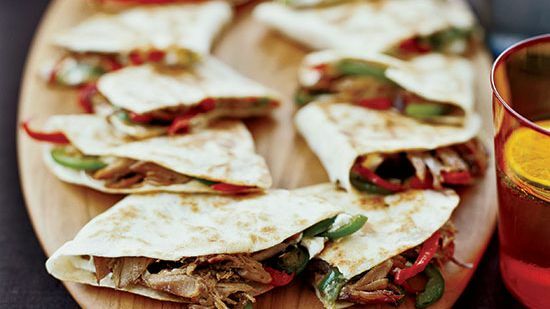 Serve one burrito-style tortilla or two of the smaller ones per person.